The foursome formed in Blackpool in 1963 with a line-up of Harry Feeney (vocals), Ian Holdbrook (guitar and harmonica), Steven 'Mogsy' Morris (bass) and Cyril 'Ciggy' Shaw (drums). Their name was derived from Feeney's stage name of 'the Reverend Black' and the group were called The Reverend Black and The Rocking Vicars. Local newspapers referred to the band as blasphemous and television shows refused to book them. Feeney protested by stating that a clergyman had told him the name might inspire teens, who had seen the group on Saturday night, to attend church on Sunday. However, the group conceded and renamed themselves The Rockin' Vicars. Feeney acted as their booking agent, and The Rockin' Vickers became one of the leading attractions in the North of England, playing all the northern clubs, dance halls and student unions. 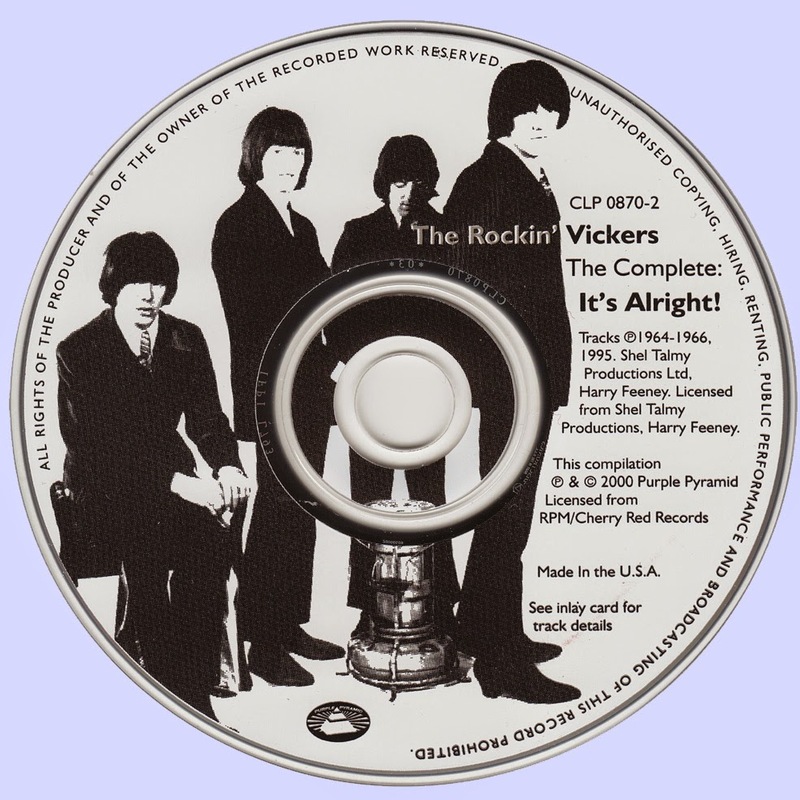 The Vickers limited themselves to a forty minute set leaving their audiences wanting more and acts with hit records, appearing with the group, came off as second best. The band's popularity led to a one-off single for Decca, Neil Sedaka's "I Go Ape" b/w "Someone Like You" but, with poor sales, the band were dropped by Decca. A disillusioned Ian Holdbrook left in 1965 and Ian 'Lemmy' Willis (later to use his father's surname of Kilmister) became his replacement. With 'Lemmy' as the new member, a tour of Finland was undertaken since "I Go Ape" had achieved a number one status in the Finnish charts. A gig at the Olympic Stadium in Helsinki, in front of a crowd of 10,000, inspired publicity photos, taken at a Blackpool studio, of the group in Finnish national costume. In July 1965, the Vickers also toured Yugoslavia as part of a cultural exchange with the Red Army Youth Orchestra. The second single, "Stella" b/w "Zing! Went the Strings of My Heart", was recorded specifically with the Finnish market in mind and was only released in Finland and Ireland. In order to break into the London market, the group improved their image with hair styles by Vidal Sassoon and promotional photos by Gered Mankowitz. They secured a recording deal with Shel Talmy Productions and Jennifer Ashley along with Gail Colson became their managers. 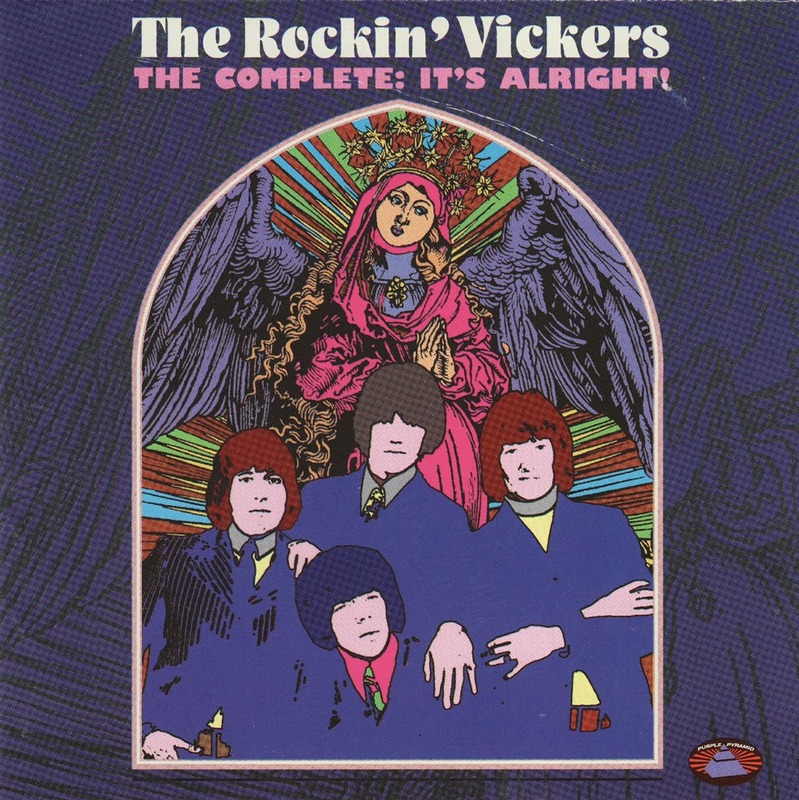 With The Vickers now in London, a third single was recorded, Pete Townshend's composition of "It's Alright" b/w "Stay with Me", with Glyn Johns as producer. The release received frequent pirate radio airplay but did not chart. A final single was produced by Shel Talmy and Ray Davies composition of The Kinks' "Mr. Pleasant" was offered, but it was rejected, in favour of Davies' "Dandy". The single did not chart in the UK but reached number 93 in the US Billboard chart. However, the group were breaking apart at this point and, by the spring of 1967, Steven Morris had been replaced by the group's roadie, David 'Nod' Turner, a former Radio Caroline technician. Morris became a taxi driver while Cyril Shaw joined Solomon Burke's backing band for a while before also quitting the music business. Harry Feeney started a car sales franchise in Blackpool while 'Lemmy' stayed in the field of music. His first job was as a roadie for The Jimi Hendrix Experience, followed by becoming part of Sam Gopal, singing and playing guitar on the "Escalator" album. Several months were spent with Opal Butterfly before 'Lemmy' found fame with Hawkwind and later Motorhead.